Docker, CoreOS, Google, Microsoft and Amazon are now working on a new standard for software containers with the help of the Linux Foundation. 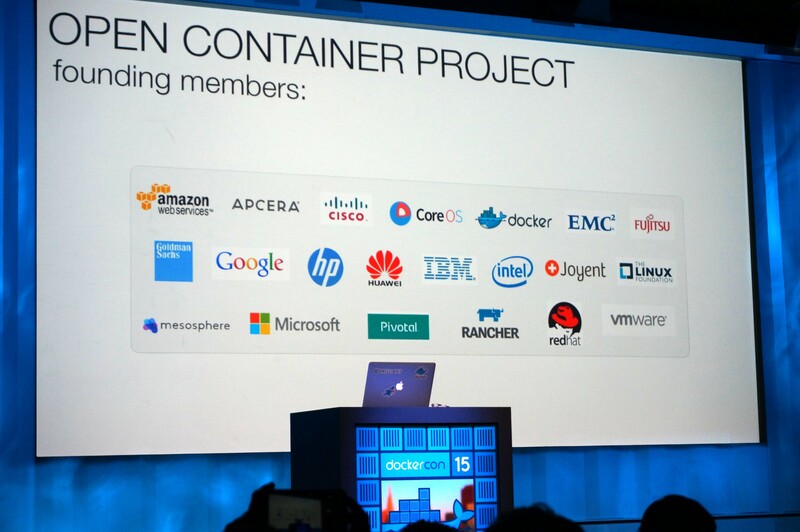 Other members of this coalition include Apcera, Cisco, EMC, Fujitsu Limited, Goldman Sachs, HP, Huawei, IBM, Intel, Joyent, Mesosphere, Pivotal, Rancher Labs, Red Hat and VMware — that is, virtually everybody who has a stake in building a thriving container ecosystem. Docker may have become synonymous with containers, but it’s not the only container format around and not everybody agrees that it should become the standard format. Last December, CoreOS announced that it was launching its own container runtime (rkt) and format (appc), a project that received some support from major players like Google, Red Hat and VMware. At the time, Docker and CoreOS looked like they were on a collision course, and having even more container formats wasn’t likely going to help the overall ecosystem. The Docker container format and runtime will form the basis of the new standard, and Docker is donating both the draft specifications and the code around its image format and runtime engine to get the project started. The main idea here is that developers should be able to package their applications in a container and be confident that it will run in any runtime, whether that’s Docker, CoreOS’s rkt, or projects like Kurma or Jetpack. 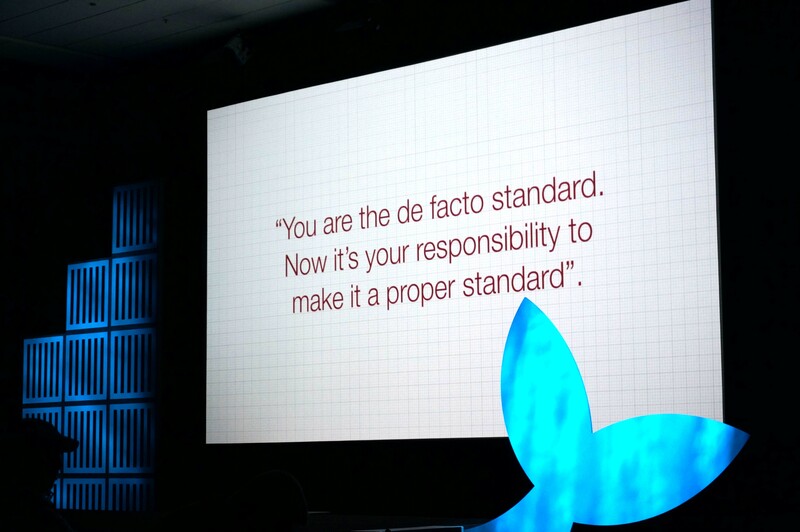 That standard should be vendor neutral and development should happen out in the open. For Docker, this means giving up a bit of control, too. “After receiving feedback from the community, partners and customers, we believe the timing is right to create a common standard that would ensure compatibility and encourage innovation throughout the ecosystem,” said Solomon Hykes, founder and creator of the Docker open source initiative, in a statement today. I also asked Google’s Cloud Platform product manager Craig McLuckie what he thought about this new initiative. He argues that this will only make the container ecosystem stronger. “This creates an open community to drive future versions of the container spec; the container spec itself isn’t settled and the first order of business will be to bring many of the ideas being promoted in AppC to the hugely successful Docker ecosystem,” McLuckie tells me. “It will ensure that innovation does indeed happen, and happens in a way that benefits everyone and is free of vendor specific ties.” He also argues that this single standard will make the lives of companies that build container-packaged software easier because they will be able to target a single format that can then be used in multiple ecosystems and environments. “It also provides flexibility for innovation in the runtime environment because any new initiatives there can directly benefit from an existing tooling ecosystem,” he notes. It’s worth noting that Docker’s business model in the long run isn’t so much bound to a container format but instead is about building tools for managing container deployments. While the company is obviously interested in shepherding the future of software containers, its main interest is in establishing a vibrant ecosystem around this idea. Having a broad coalition of companies involved in creating a single container standard will allow it to fulfill this mission in the long run.